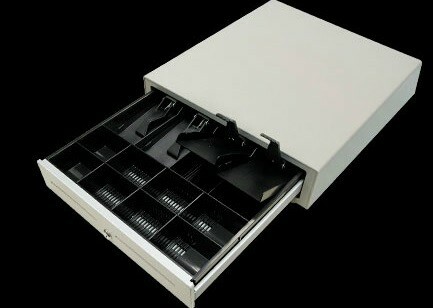 All-metal 8 Note, 8 Coin Cash Drawer. 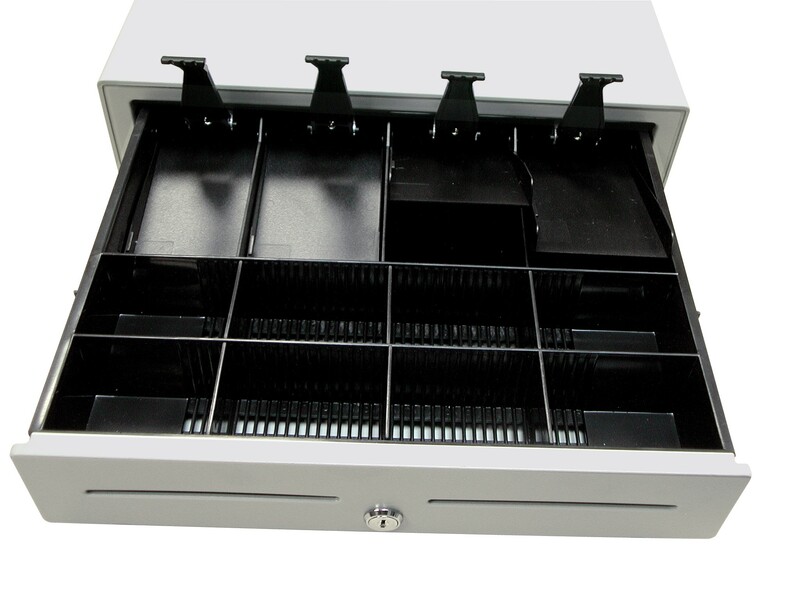 The 3S-430 has a removable spacer system for 8 types of notes and 8 types of coins. 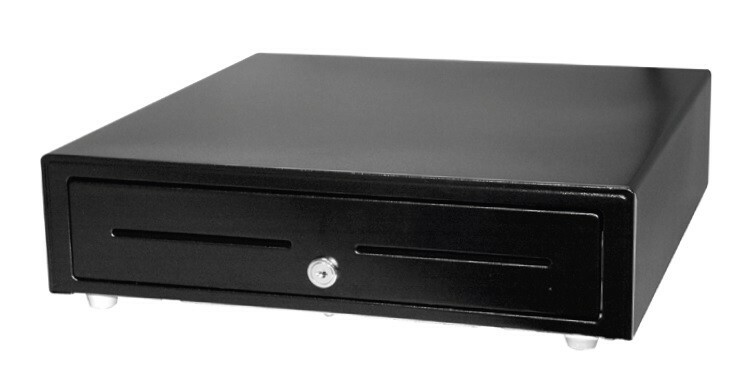 Two slots on the front side are used for receipts, cheques and removable inserts. 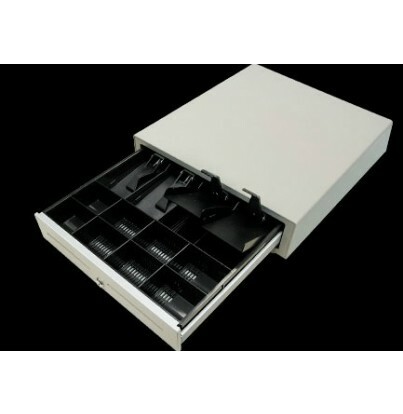 It features rounded edges and steel clips to hold down notes and is available in Black or Beige.